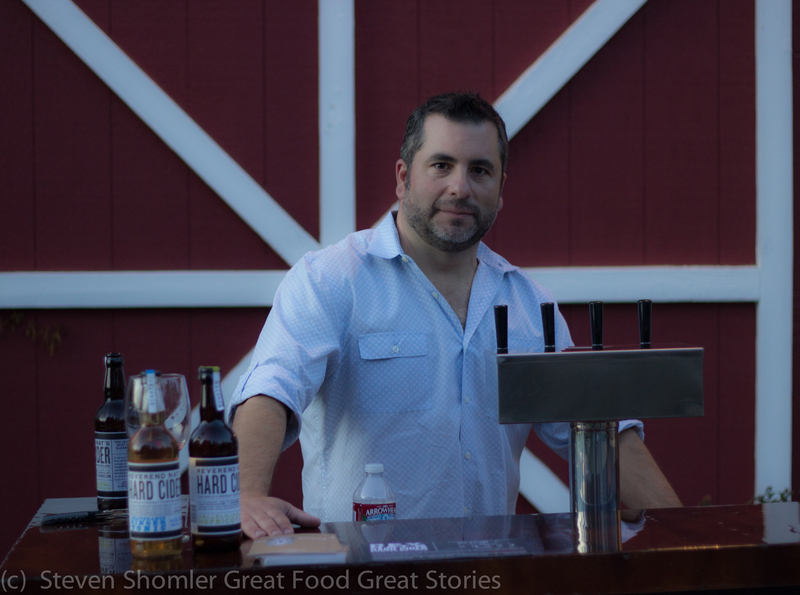 ← Off The Waffle – Now Open in Portland! 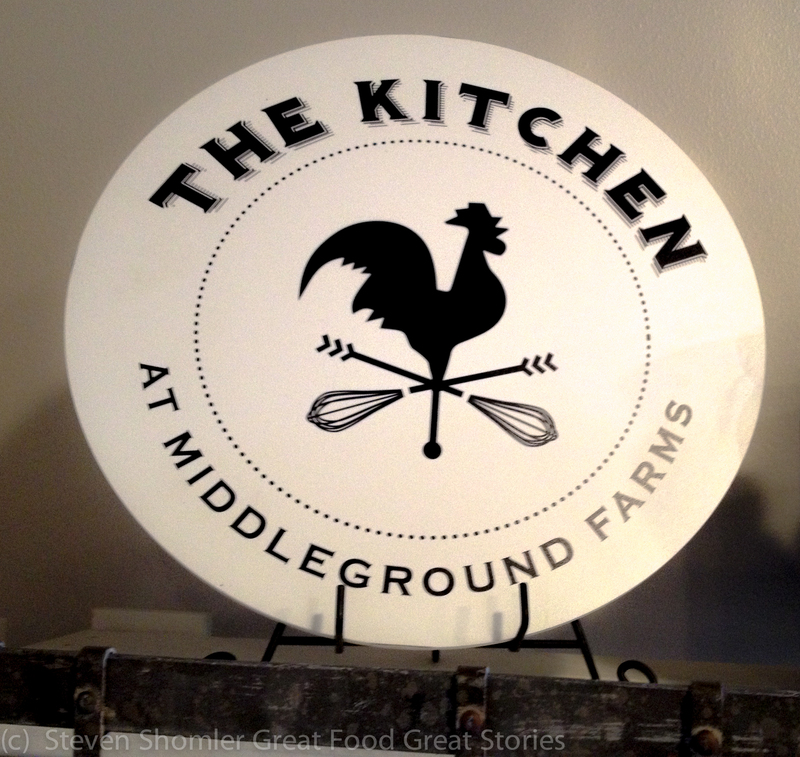 On Thursday evening Oct 16th, 2014 I attended an event at The Kitchen at Middleground Farms. 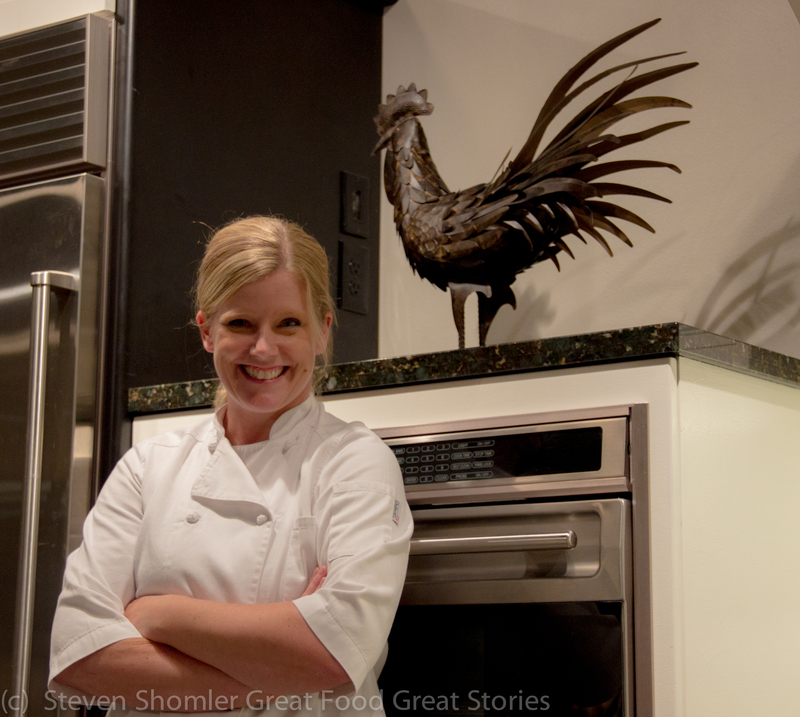 My friend Lauren Chandler, Founder of Lauren Chandler Cooks had invited me to go her with and check out this new recreational cooking school located just south of Portland. 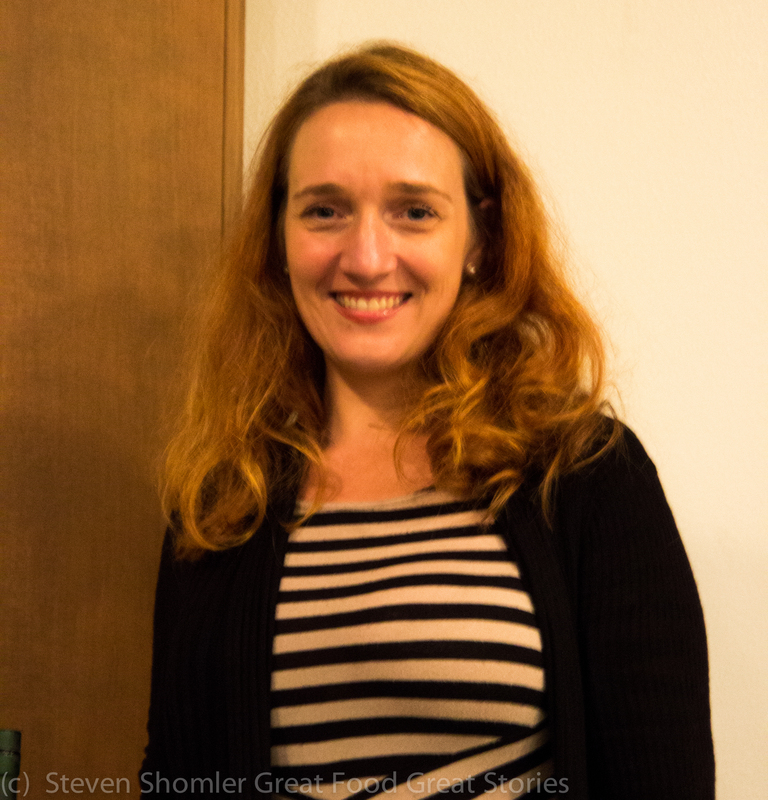 I had a delightful time and I met some wonderful people. 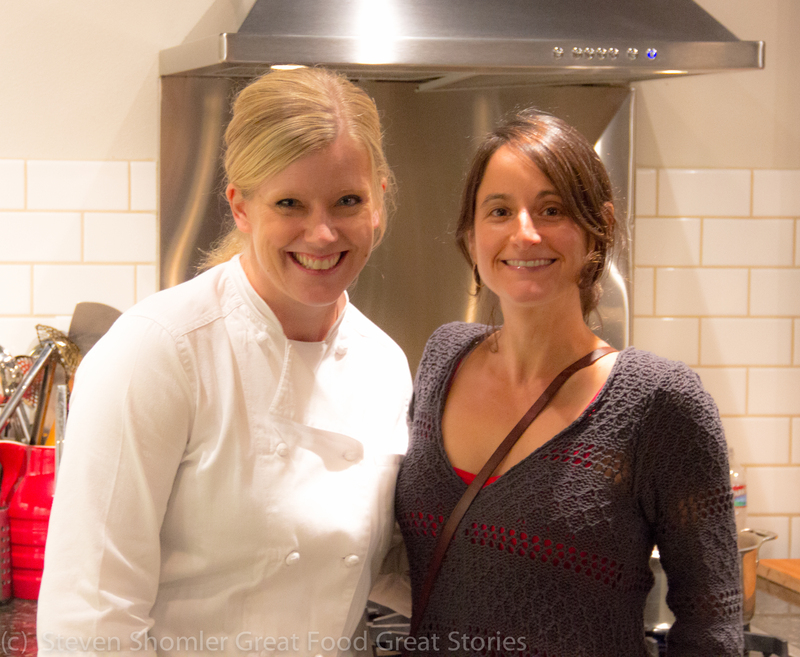 The Kitchen at Middleground Farms is the culinary tour de force of Chef Jessica Hansen (pictured above with Lauren Chandler). To get there, Lauren and I took I-205 south to the Stafford Road exit, just past West Linn. 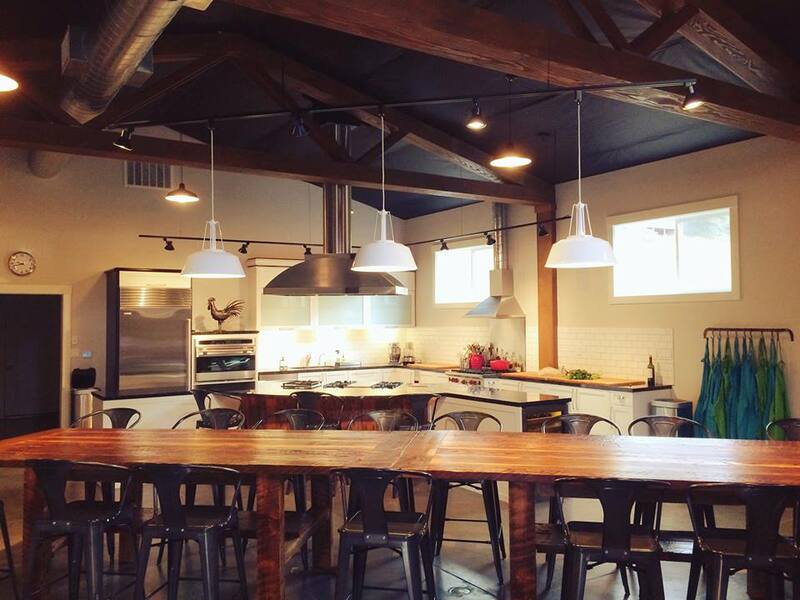 I have to day – It is a beautiful space! 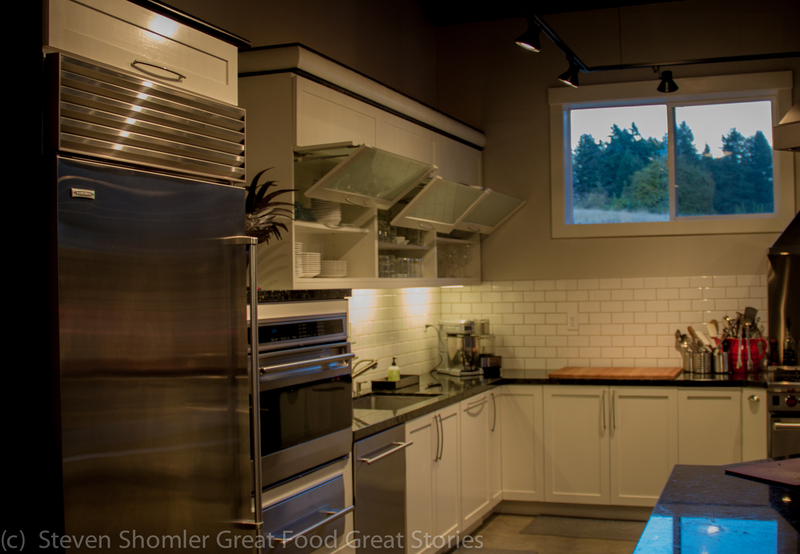 A wonderful place to cook and eat! 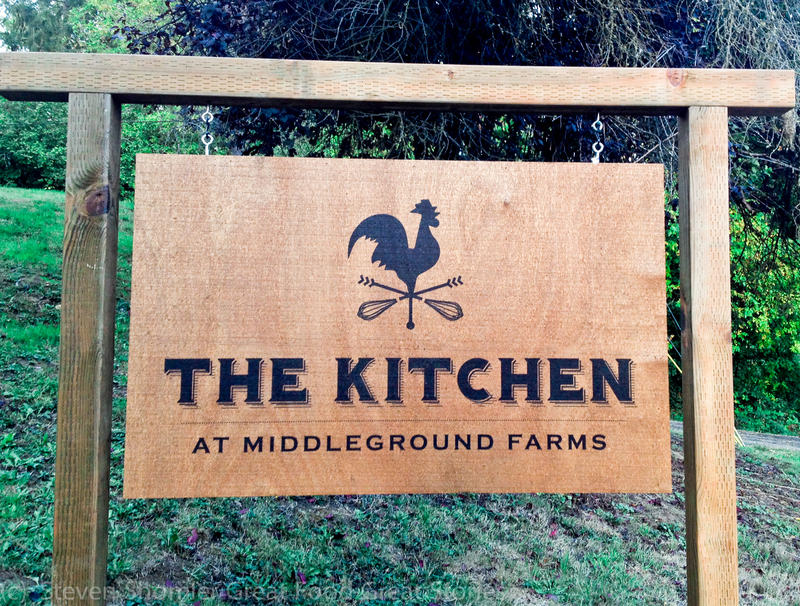 On Thursday night oct 16th, I threw out the idea that The Kitchen at Middleground Farms would a perfect place for a Finnriver Cider dinner. 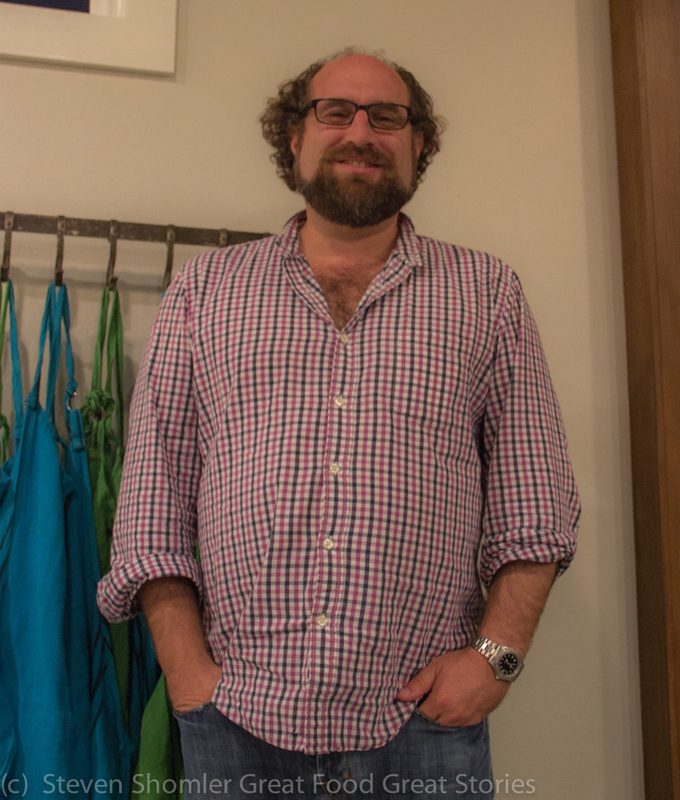 That idea got some traction and I hope that it comes to together! 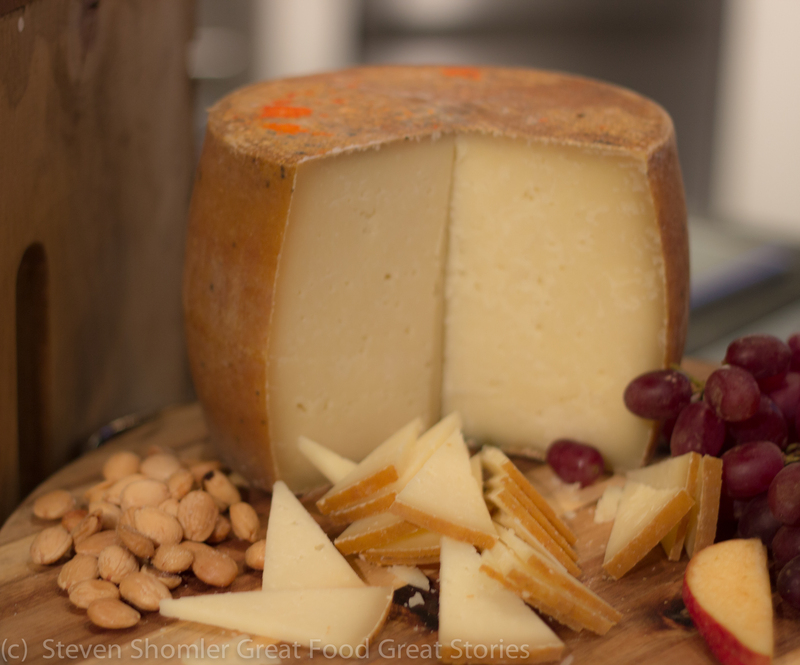 I can just imagine enjoying the creations of Chefs – Jessica Hansen, Lauren Chandler and Corey Pressman (more on Corey shortly), and having a glass of Finnriver Cider that Jana Daisy-Ensign, Finnriver’s Cider Ambassador has picked out to go with each delectable course. 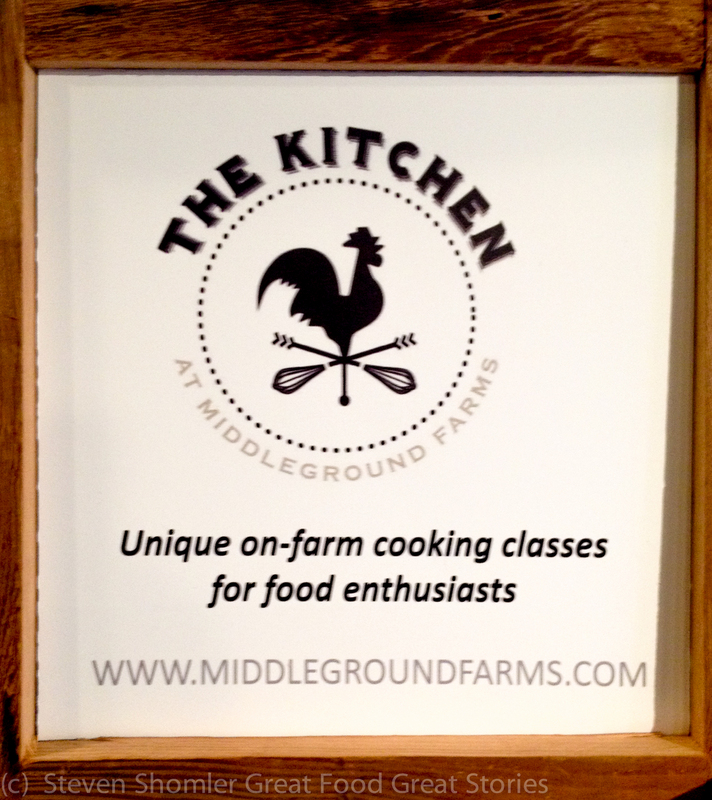 Cooking classes are offered regularly at The Kitchen at Middleground Farms. 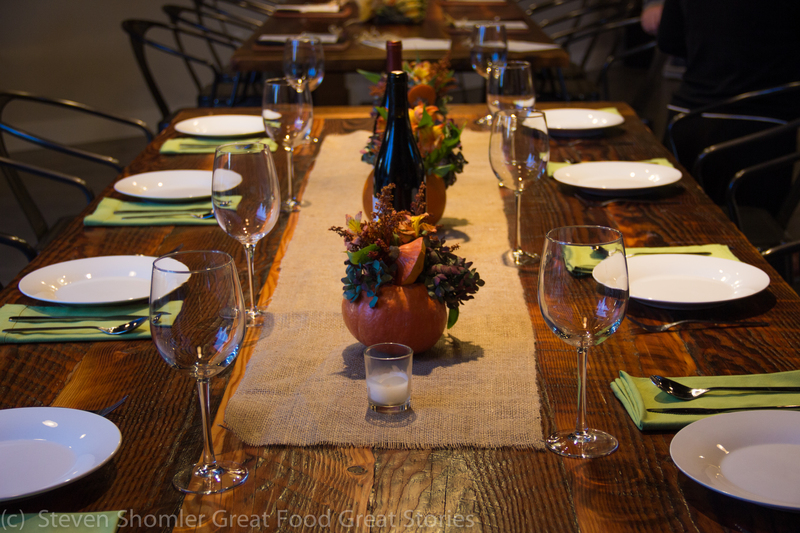 The classes use local seasonal ingredients and are suitable for cooks from beginner to advanced. 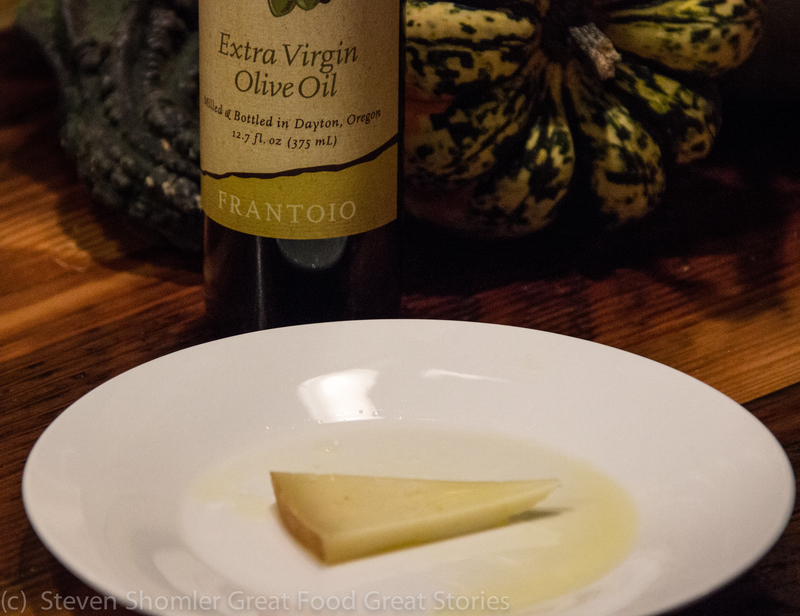 The Other Stories I Found Thursday at The Kitchen at Middleground Farms! 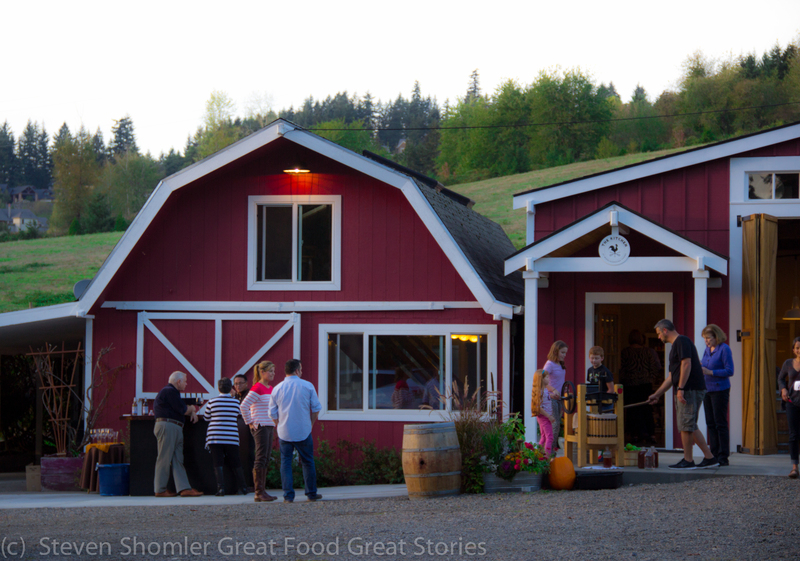 I came across some other delightful stories/people Thursday night at The Kitchen Middleground Farms – Oregon Olive Mill, Ama Meats, The Wine Nomad, and the Wayside Strangers. Here is a little about each of them! 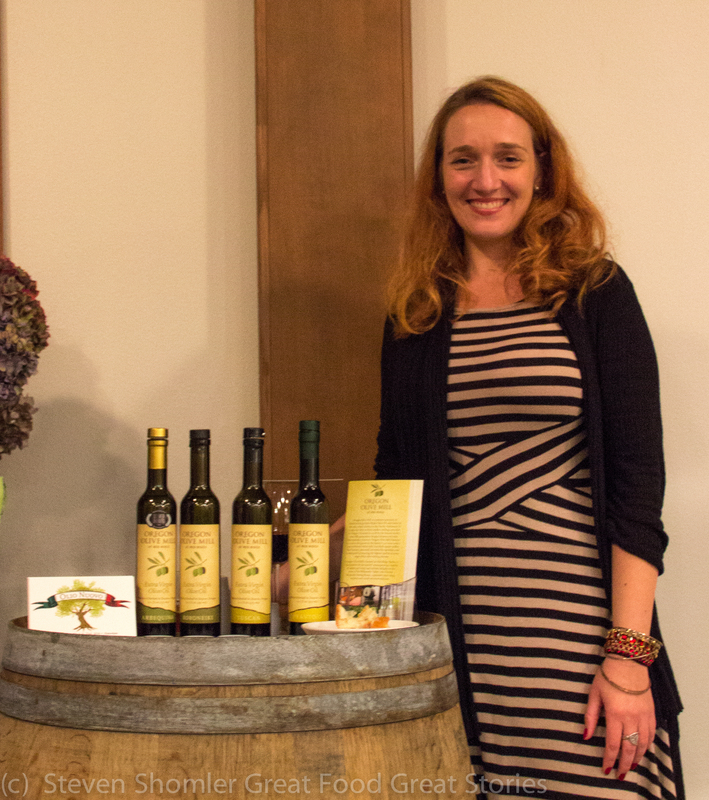 I got to meet Libby Clow with Oregon Olive Mill. 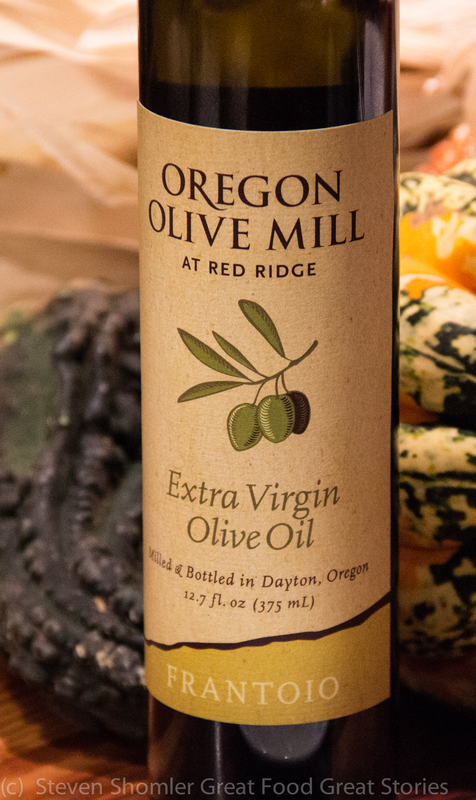 Oregon Olive Mill is a wonderful local olive oil produced in Dayton, Oregon at Red Ridge Farms. Libby shared with me that the olive oil ice cream that they occasionally have at Salt and Straw is made with their Arbequina Olive Oil. I have had that ice cream and it is amazing! 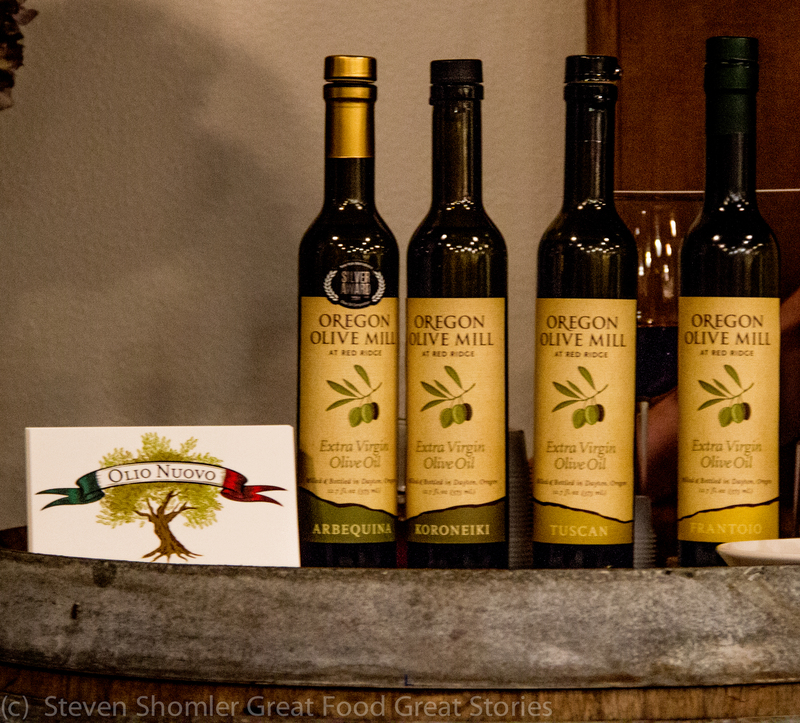 Oregon Olive Mill is getting ready for their annual Olio Nuovo Festival happening this year – November 21-23, 2014 from 10am to 4pm. 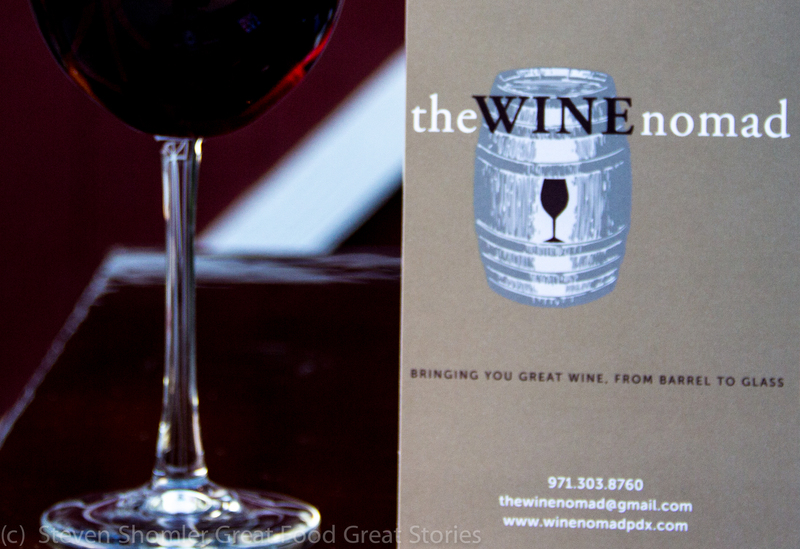 Admission is free and if you go you can enjoy tours of their Olioteca, tastings of freshly milled oils, and fabulous food and wine pairings. 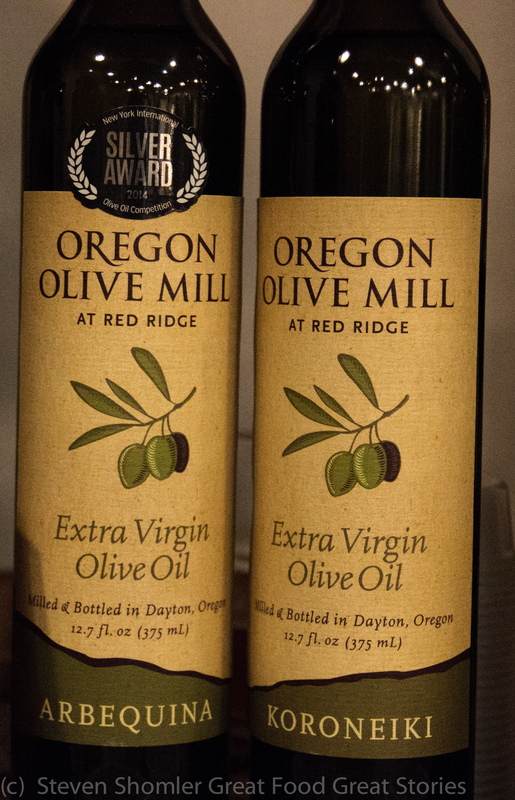 I suggest that you “like” the Oregon Olive Mill Facebook page –www.facebook.com/OregonOliveMill to get updates on this event. 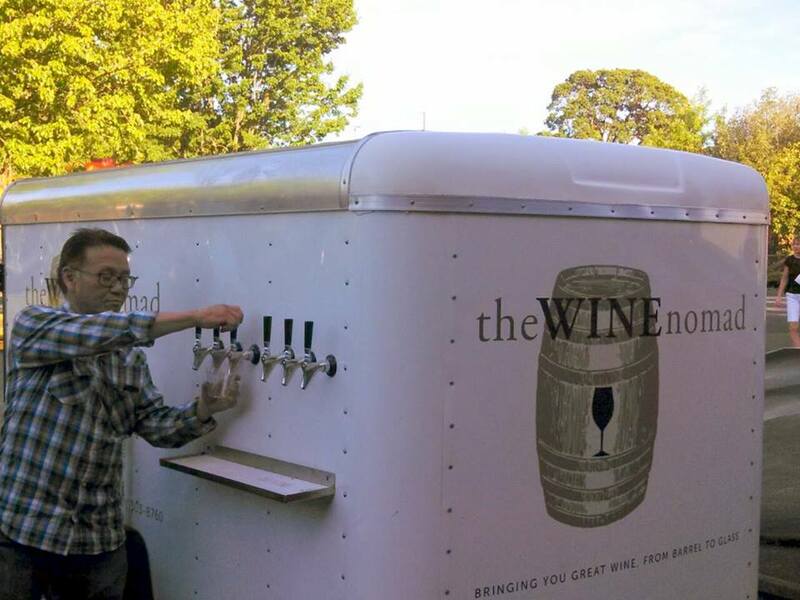 Tim Martens and Chris Shimamoto are the proud owners of the Wine Nomad. Corey makes sausage and better yet, he can teach toy to do the same! 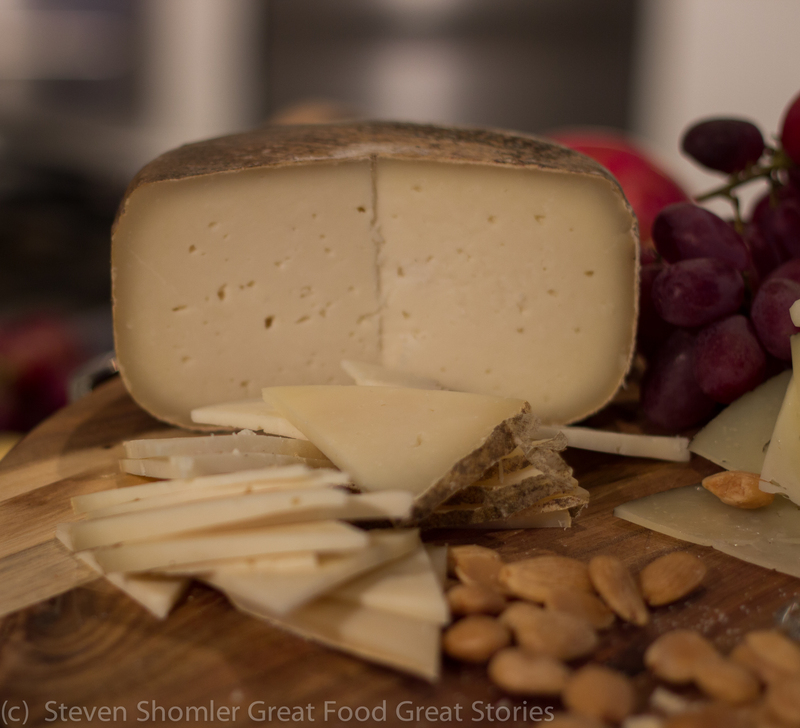 Check out the Ama Meats website for more info – www.amameats.com. 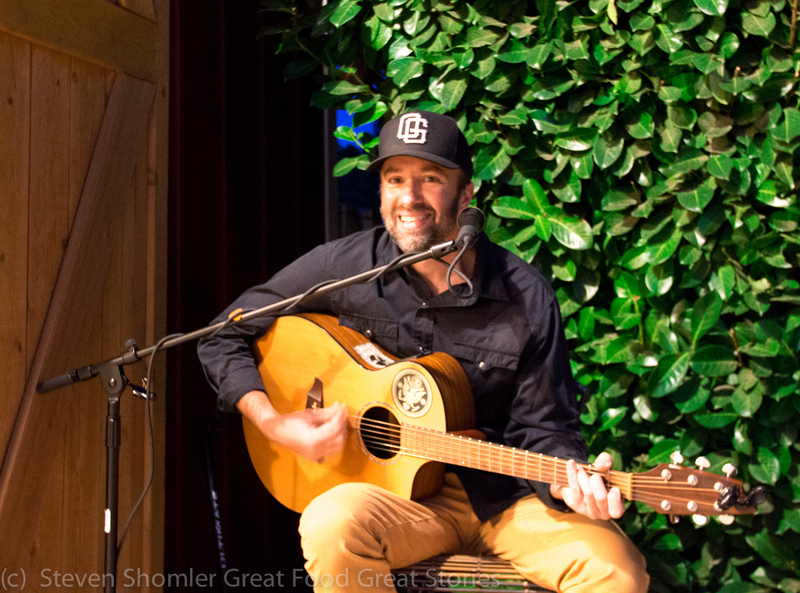 Throughout the night I found myself enjoying the live music. 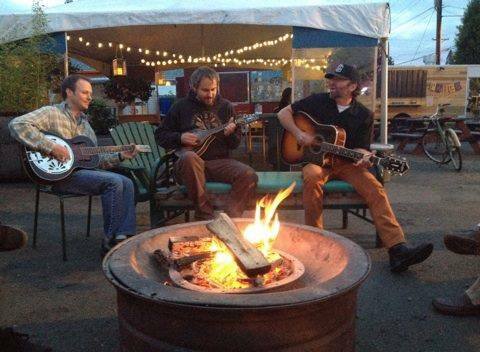 I visited with Patrick and he shared with me that he part of the Wayside Strangers and they are a “Roots Blues” band. 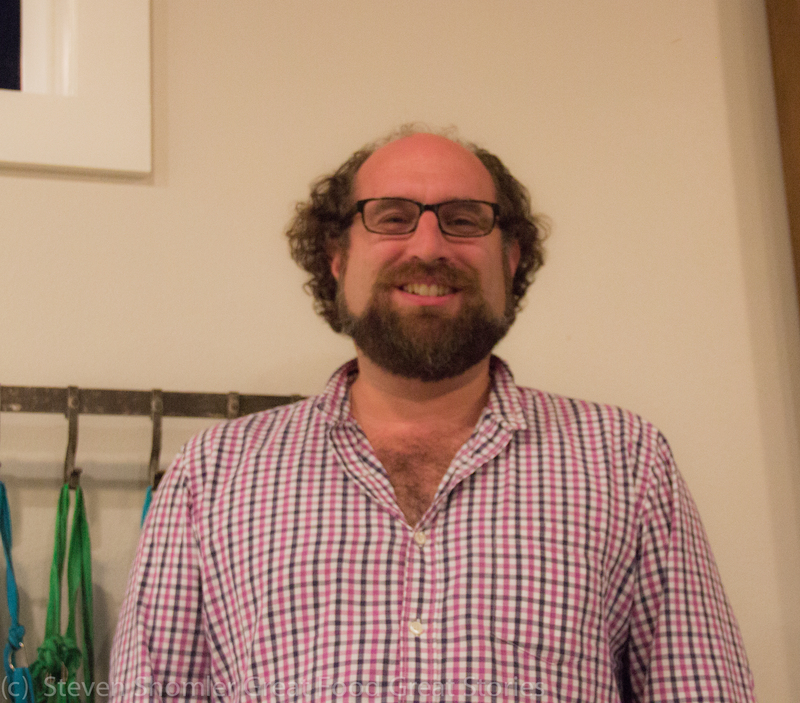 I really liked the music I heard Thursday night. 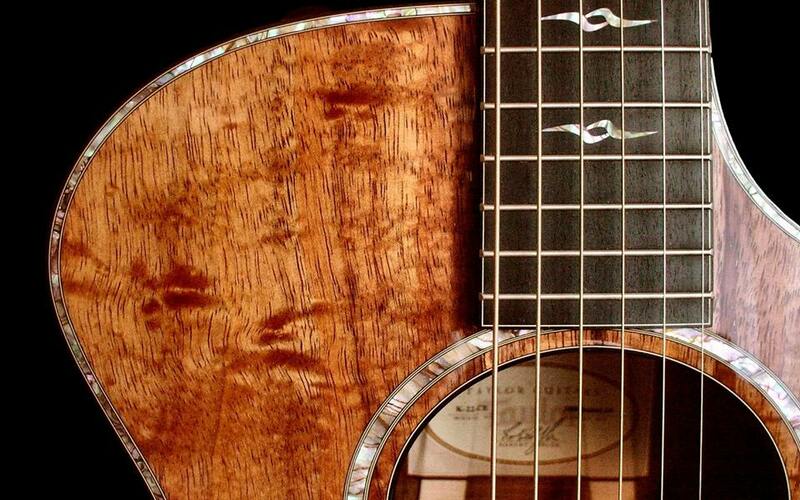 I am going to look into playing some Wayside Stranger on my radio show. 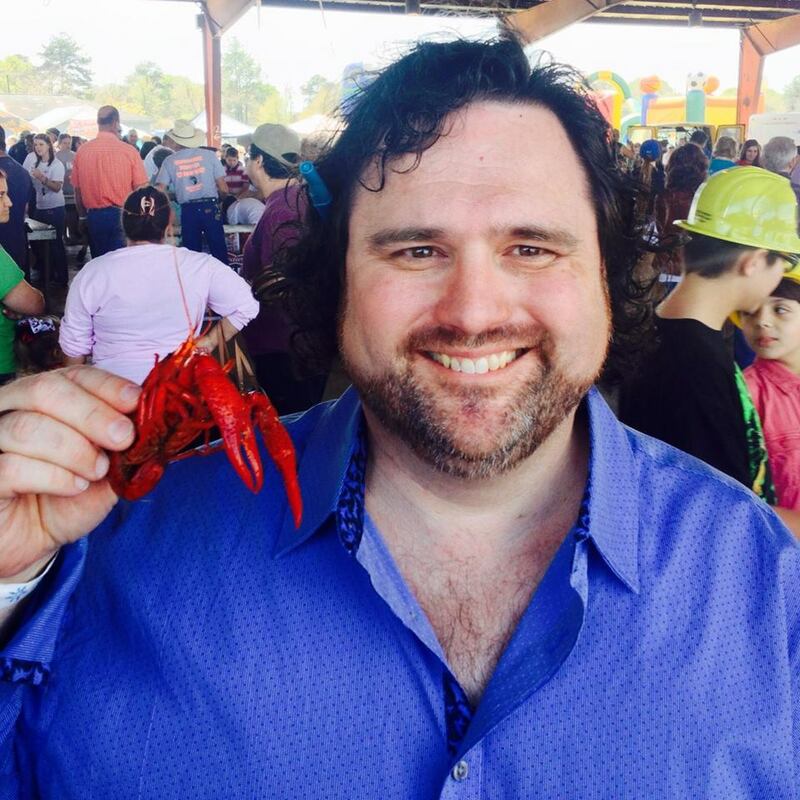 Yep – It just so happens that I have my own radio show – Tasty Tuesday, on Portland Radio Project. 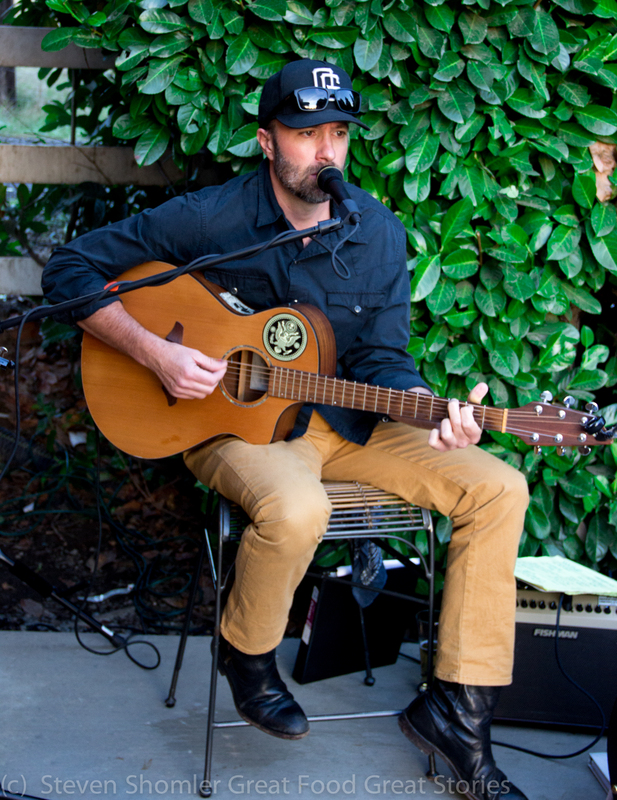 At PRP we play Rock, Folk and Blues and we play a local Northwest artist every 15 minutes…. 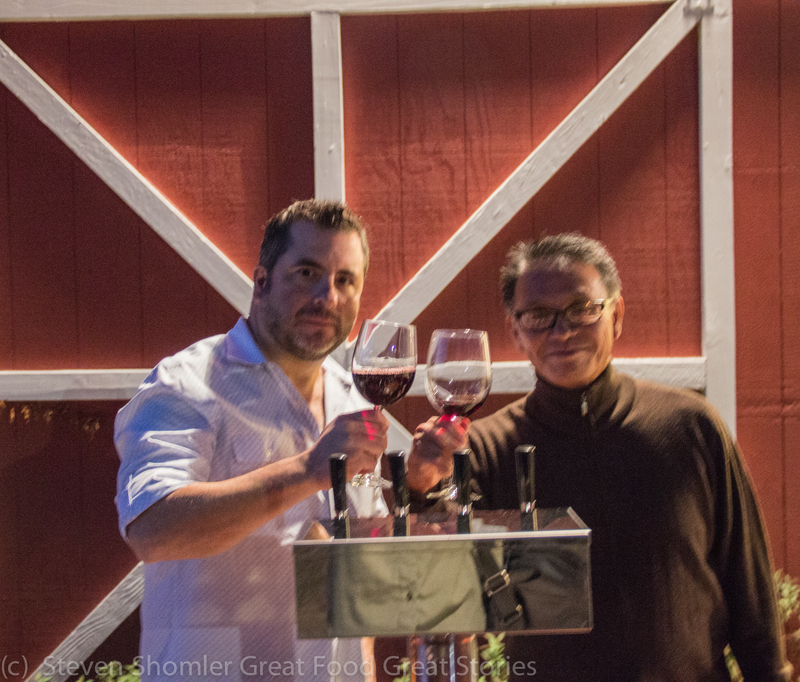 This entry was posted in Cooking School, Olive Oil, Sausage, Wine and tagged Ama Meats, Arbequina Olive Oil, Chef Jessica Hansen, Chris Shimamoto, Chris Shimamoto Wine Nomad, Cooking Classes at The Kitchen at Middleground Farms, Cooking Classes in Portland, Corey Pressman, Corey Pressman Ama Meats, Finnriver Cider, Jessica Hansen, Jessica Hansen The Kitchen at Middleground Farms, Lauren Chandler, Lauren Chandler Cooks, Lauren Chandler Lauren Chandler Cooks, Libby Clow, Libby Clow Oregon Olive Mill, Middleground Farms, Middleground Farms Wilsonville, Olio Nuovo Festival, Olio Nuovo Festival Oregon Olive Mill, Oregon Alive Mill Arbequina Olive Oil, Oregon Olive Mill, Oregon Olive Mill Dayton Oregon, Patrick Harvey, Patrick Harvey Wayside Strangers, Portland Cooking Classes, Portland Mercado, Portland Wine, Red Ridge Farms, Sausage, Steven Shomler, Steven Shomler Portland Food Writer, The Kitchen, The Kitchen at Middleground Farms, The Wine Nomad, Tim Martens The Wine Nomad, Wayside Strangers, Wine. Bookmark the permalink.